A new report from a Korean media outlet details Huawei's plans to introduce an in-house OS for its mobile devices. Should this prospect be realized, the Chinese company may drop its Android skin (EMUI) for completely separate software along the lines of Tizen or, well...iOS. This suggests that Huawei wants to build its own ecosystem for the use of its hardware. The Korean media outlet ETNews has reported that Huawei is planning the development of its own proprietary OS. This software is apparently intended to replace Android for mobile devices. ETNews asserts that the Chinese company is taking this path in response to the difficulties it is facing in the US market. This is apparently due in part to challenges Huawei faces in being able to obtain licenses for the use of Android in this country. 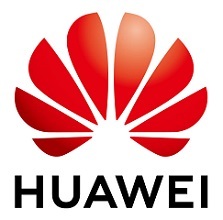 ETNews speculates that Huawei will be able to build a powerful software ecosystem on the back of its new in-house OS. It is true that the company offers its own cloud storage service, as does Apple. Therefore, it may intend to model itself after the Cupertino company, which exerts a de facto monopoly on the apps, services and functions available to customers who buy iOS devices. At this point, there are no indications as to what Huawei intends to call its purported own-brand OS, when it may be available and how its alleged development will affect new and existing devices produced by the company. One thing is for sure, however: Huawei must weigh up the advantages of this potential move against the possibility of severing its current ties with Google over it.